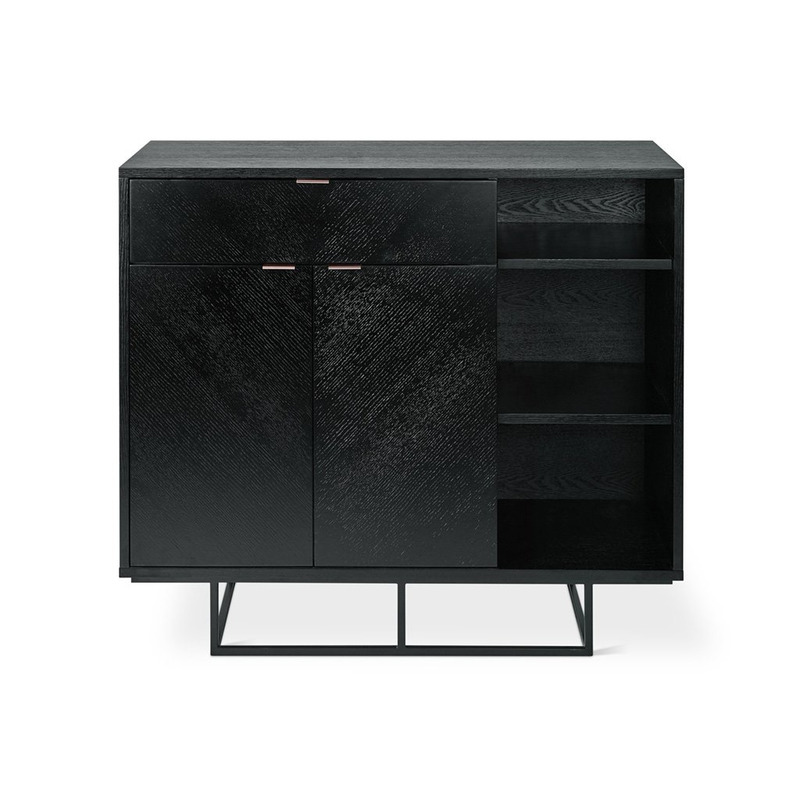 W42 D18 H36 in W107 D46 H91 cm The Myles Cabinet combines subtle details and craftsmanship to create a storage design that exudes simple sophistication. Rose gold handles contrast dark stained, chevron-patterned oak faces. 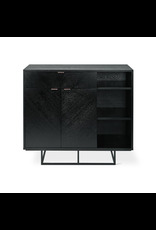 A recessed, slender steel base with black, powder-coated finish creates an illusion of weightlessness. Adjustable shelves in the interior compartments and open storage area provide plenty of efficient storage space allowing this design to maximize functionality in a smaller and taller footprint. 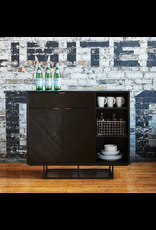 Part of the Myles Storage Series, this table matches perfectly with the Myles Media Stand, End Table and Credenza. Anti-tip hardware is provided. 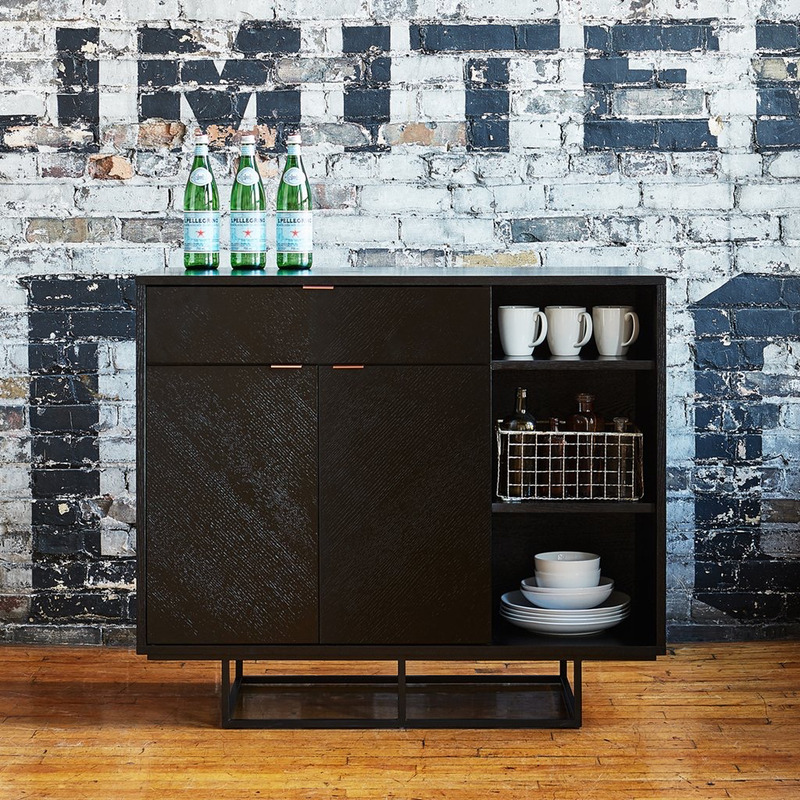 Features 1 drawer and 2 doors with rose gold metal pulls. 2 interior compartments have adjustable shelves for efficient storage. Open storage area has 2 adjustable shelves. Black Satin finish. Slender steel base with a black powder-coated finish. Plastic bumpers on base to protect hardwood floors.